Cleanse and fortify. his color safe, power-packed formula works to gently purify both hair and scalp, while weightlessly hydrating and strengthening each strand from root to tip with a nourishing blend of Aloe Vera, Horsetail, Hibiscus, Shikakai, Sea Kelp, Nettle, Sage, Rosemary and Coconut Milk. 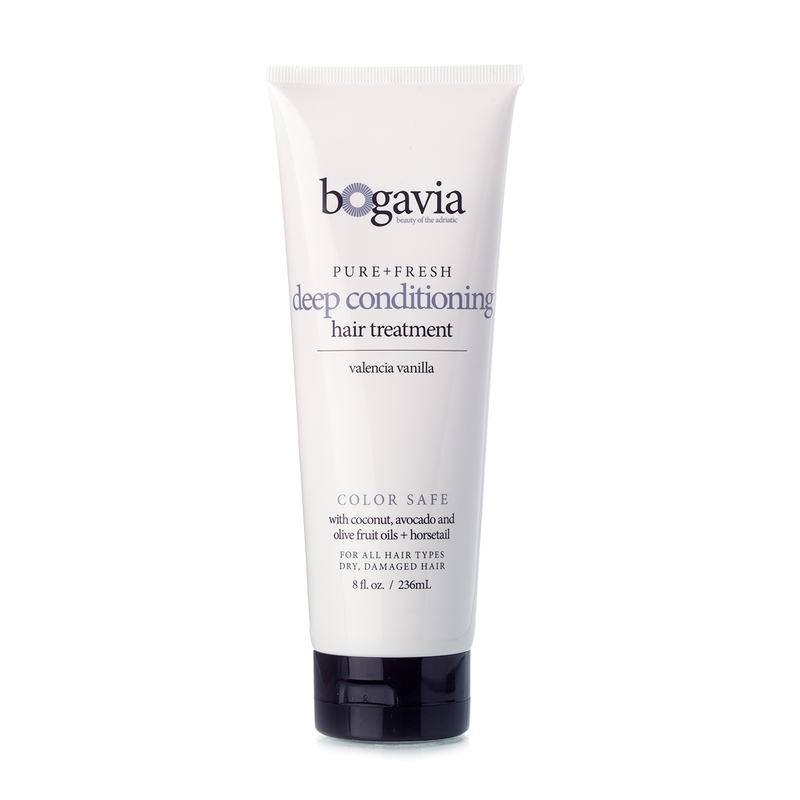 Repairing and revitalizing, each use restores body and bounce, promotes thicker, more lustrous hair growth, and leaves hair with noticeably healthy shine. Smooth and silken. This plant powered, ultra rich deep conditioning treatment completely transforms your hair. Repairing and rejuvenating, each use fortifies, detangles, increases elasticity, and induces shine with a highly reconstructing blend of Aloe Vera, Horsetail, Hibiscus, Neem, Shea Butter, Coconut, Avocado and Olive Fruit Oils, plus protein rich Quinoa. Moisturizes, fights frizz and leaves hair super silky. Smooth and protect. Supremely thick and antioxidant rich, this moisturizing body butter works to repair and renew your skin. An intense dose of hydration is met with a delicate delivery of scent, refreshing your skin with the Valencia Vanilla natural and organic essential oil blend.